Helper have designed and manufactured food processing machines and equipment since 1986. 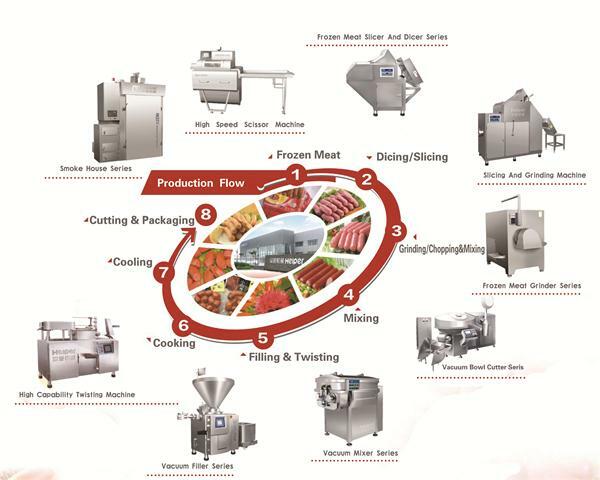 Now we can provide our clients excellent solutions in the field of meat and pastry processing, such as sausage and Ham Production Line, quick frozen leisure foods, pet foods and cheese processing, fresh and cooked noodle line, dumpling and bakery products etc. The company has been obtaining success through the persistence of quality and service, as well as by knowing customers, understanding products, implementing diversification competitive strategy and focusing on high quality and good performance machinery research and development.